Let's kick off the BNA2017 Festival of Neuroscience in style! Delegates are invited to attend the welcome reception on the first night of the Festival and take the opportunity to chat with old colleagues or to meet new friends and associates over nibbles and a glass of wine amongst the large and bustling exhibition space. FREE with meeting registration. Please indicate if you would like to attend when registering for the meeting. Your chance to meet British winners of the Grete Lundbeck European Brain Research Prize, also known as The Brain Prize, an international scientific award honouring "one or more scientists who have distinguished themselves by an outstanding contribution to European neuroscience". In 2012 Karen Steel won the Brain Prize for her work that revolutionised our understanding of many forms of deafness. Her studies focus on the genetics behind deafness, and she has published phenotypic descriptions of over 80 different mouse mutants. She uses the mouse models in order to understand auditory loss in humans. In 2016 all three winners were UK neuroscientists, and two of them former Presidents of the BNA (just going to show how good BNA membership is for your career!). The prize recognised their ground-breaking research on the cellular and molecular basis of Long-Term Potentiation (LTP) and the demonstration that this form of synaptic plasticity underpins spatial memory and learning. Two of the three 2016 winners, Graham Collingridge and Tim Bliss, will be in conversation with 2012 winner Karen Steel and BNA President Professor John Aggleton over drinks and canapes, with plenty of chance for discussion with the audience. We are extremely grateful to The Brain Prize for supporting this event. The Brain Prize is a personal research prize awarded annually by Lundbeckfonden, a leading Danish Foundation, to one or more scientists who have distinguished themselves by an outstanding contribution to European neuroscience and who are still active in research. Anyone can nominate and nominations are submitted online on the Foundation’s website - see full information about The Brain Prize online. Tickets cost £12.50 and include a drink and canape reception. The final social evening is not to be missed!! Join in with this fun-filled event for student and early members and get into the 'Festival' spirit. Make new friends whilst taking part in a fun quiz! Tickets include a buffet, drinks, games and dancing until the early hours! This quick-fire poster talk session features just thirty posters selected from the hundreds of abstracts submitted for presentation, each explained in just three minutes and two slides! An exciting fast-paced session which will give attendees a flavour of the whole festival and highlight top posters to visit later in the meeting. See full line-up of the thirty abstracts selected for presentation. This is your chance to pick the brains of those working in academia in the space of one quick-fire session. Quiz the experts about their own career success secrets, get some hot tips for your CV and use the event as a springboard to future career success. Participants will have the chance to talk to different experts in a single session. Especially for undergraduates, postgraduates and early career scientists, Speed Dating for Careers in Science could help you find out more about potential career directions, gain tips for a successful career, find out what motivates us, the do’s and don’ts, how to become a PI, the balance of work-life or anything you like! Refreshments will be provided for all participants. This event is free however booking is essential. Please register your interest by selecting this session during the registration process. This event is now FULL. Please email bna2017enquiries@neurofest17.co.uk if you would like to be added to the waiting list. Meet the experts from other science-based professions including industry and charities....make your way round the tables and quiz them on how to get ahead in your field. This event is especially for undergraduates, postgraduates and early career scientists. Find out what has happened over the last year in the BNA, hear who will be the next President, and take the chance to have your say in how the association is run. Free to all BNA members. We are excited to host this symposium featuring newly (or yet to be!) published research on a range of topics. 9:25 – 9:50: Is glutamate release required for synaptic plasticity? Alongside the more standard-format talks and posters at BNA2017, we have added a number of Discussion Forums so that delegates can engage in active discussion regarding current, hot topics in neuroscience and beyond. Consistent with the aims of the BNA, the goal is to assist researchers in all facets of their work. Each Discussion Forum will consist of an hour of conversation between delegates and a panel of 3 or 4 experts selected for their knowledge of the relevant field, with most of the session devoted to Q&A and discussion amongst delegates. DF3: Publishing; where and how and what next? 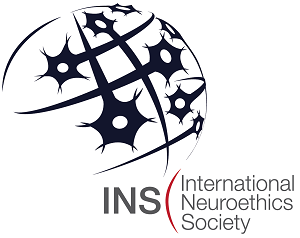 Convened by the International Neuroethics Society, Elaine Snell will be in conversation with BNA Patron, Professor Sir Colin Blakemore, and BNA Council member Professor Irene Tracey, discussing some of the ethical considerations of neuroscience and neuroscience research.